Special Order will take approximately 5 to 8 weeks to be delivered. Special Order will take approximately 5 to 8 weeks to be delivered. If you need your special ordered shoes by a certain date, you must consult with our account representatives. Certain heel types or color fabric swatches may not be compatible with certain styles. Some color fabric swatches may be seasonal and not available at the time you place your order. Modifying shoe straps may cause production delay. Tree Gum / PU Sole (Vegan) is only available for shoes from Classic Series collection. Faux Suede Leather Sole (Vegan) is only available for shoes from Salsera Series, Signature Series, Party Party Series, & C-Series collections. All special orders placed will be reviewed by our production team prior scheduling for production. If we spot any issue, we will notify you within 24 hours. 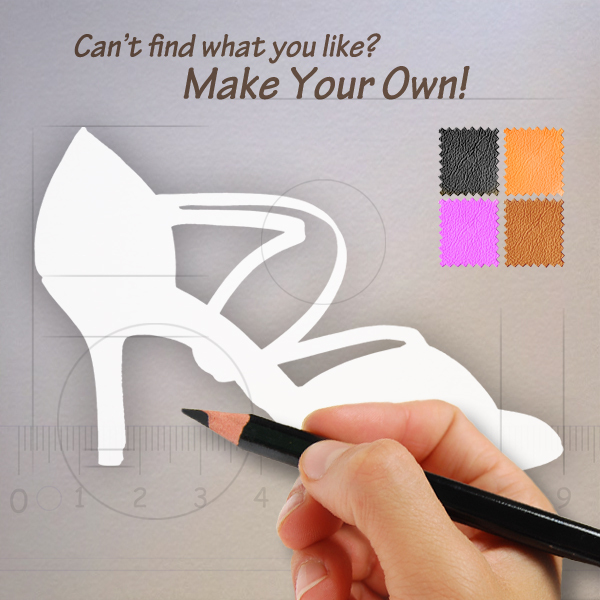 Below are useful information can assist you making your custom shoes. e.g., Black Satin, White Satin, Tan Satin, Flesh Satin, Dark Tan Satin, Copper Tan Satin, Red Satin, Blue Satin , Burgundy Satin, Purple Satin..etc. Additional fee may apply for this option. 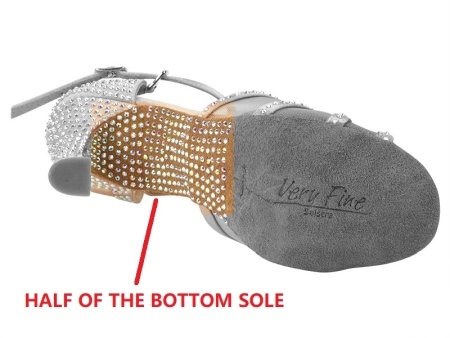 * Very Fine Rhinestone Pattern 1 has rhinestones added onto the outward part of the heelcap, the outward part of the toe box, the back of the heel, & half of the bottom sole. See illustration below. Your Price: Special Order item. Please check your price list. Not in stock item. This item can only be special ordered. Please allow 5 to 8 weeks for this item to be delivered. 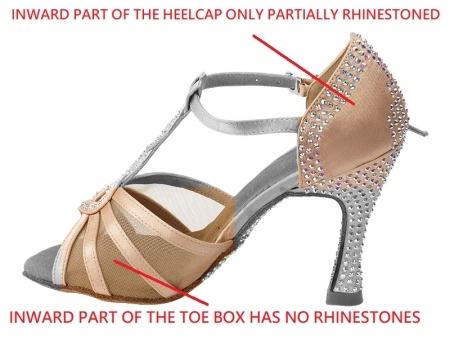 Copyright Very Fine Dancesport Shoes. 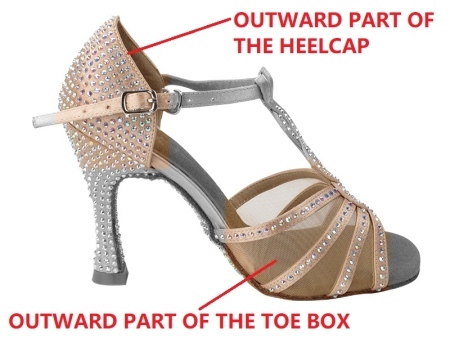 All Product Pictures Are Property of Very Fine Dancesport Shoes. All rights reserved.